Energywin’s TPS is a versatile energy controller designed to meet the growing demands of energy at reduced costs for telecom cell sites. The unit optimizes the energy delivered to the load from the three input sources namely grid, DG and Solar. 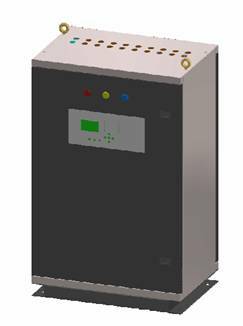 It hosts an intelligent charge controller to charge the battery bank by MPPT and also to select the Grid or DG source depending on the site conditions. The unit also is inbuilt with a modem for remote data logging and monitoring. Web Server for online data verification.